0.14 fl. oz. 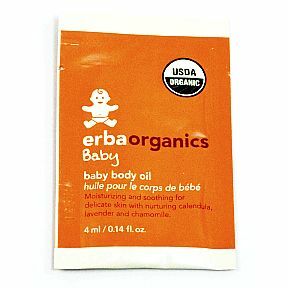 single use sachet of baby body oil. Moisturizing and soothing for delicate skin with nurturing calendula, lavender and chamomile. USDA Organic.